Mazda3 has always been a car focused around its driver and passengers, putting them first. The 2018 Mazda3 continues to reinforce that philosophy with more standard features and available premium features, so it’s hardly basic transportation. All 2018 Mazda3 models get a safety upgrade as Smart City Brake Support is now standard. This safety feature can help avoid collisions by detecting dangerous hazards on the road ahead, automatically applying the brakes. Smart City Brake Support is part of the Mazda3’s i-ACTIVSENSE suite of safety technologies. Standard features in the 2018 Mazda3 also include Advanced Blind Spot Monitoring; Rear Cross-Traffic Alert; and power, heated outside mirrors with integrated turn signals, all designed to help add peace of mind while driving. With a high level of safety and convenience, it comes as no surprise that there are now more standard and available features with the Mazda3 than other cars in its class. How many other compact car offers an available full-color Active Driving Display that displays speed and navigation information at eye-level, allowing you to fully focus on driving? How many other compact cars offer leather seating surfaces, while also giving you a manual transmission option? Go ahead, check. Likely not many. But that’s the difference with Mazda, more premium features at more attainable price points. The 2018 Mazda3 is one of the few cars on the market that still offers a manual transmission. Combine that with two efficient engine options, a 155-horsepower, 2.0-liter SKYACTIV-G engine and a 184-horsepower, 2.5-liter SKYACTIV-G engine. Additionally, all Mazda3 models are now standard with G-Vectoring Control, a Mazda-exclusive technology that uses engine timing to control chassis dynamics, helping lead to smoother, more accurate steering inputs that can result in greater confidence and control behind the steering wheel. To further enhance the Mazda3 driving experience, the available package options also receive upgrades for 2018. The BOSE®/Moonroof/Satellite Radio Package available for the mid-trim Mazda3 Touring now includes a Bose Premium 9-speaker audio system, SiriusXM satellite radio with 4-month subscription and glass moonroof. The Grand Touring Premium Equipment Package adds High Beam Control, Lane Departure Warning System, Lane Keep-Assist, Mazda Radar Cruise Control and Traffic Sign Recognition. 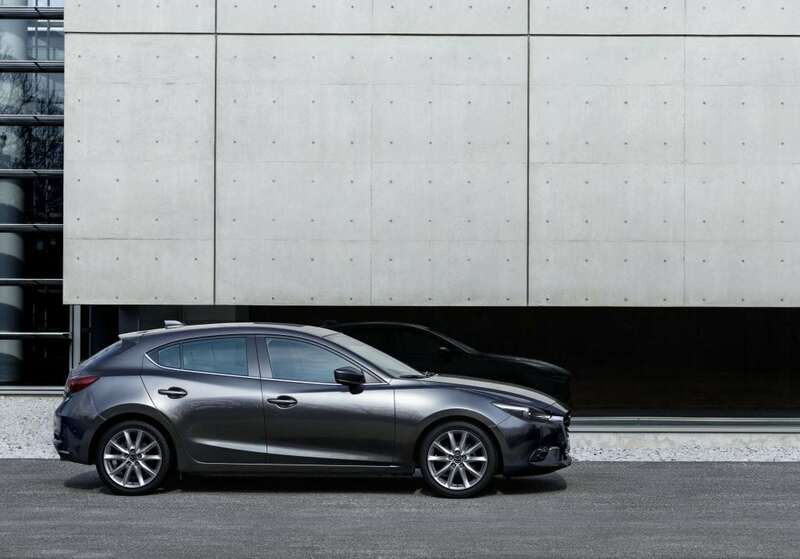 From being named a finalist for World Car of the Year, to landing on Car and Driver’s 10Best list four out of the five years it’s been eligible, Mazda3, in all trim levels, has proven to be a favorable car in its segment. For 2018, refinements and premium features help the Mazda3 continue to provide an experience that can be considered much greater than one might think at its price point. To sweeten the deal, this compact car available as a sedan or a hatchback, and can handle all sorts of lifestyles, from active to family and everything in between.